Everyone loves a great robot story. Whether the robots are cuddly, intimidating, smart, or scary, they never fail to capture our attention. These bots range from updates on older technology to totally new inventions to futuristic concepts that haven’t even been built yet. 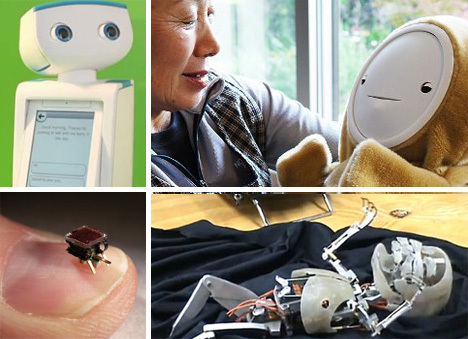 Step into the future as you peruse some of the world’s most awesome recent robot advances. As humans get older, they often become susceptible to depression. Other than drugs and counseling, what can be done for seniors in need of help? Giving them something to take care of might be the answer. 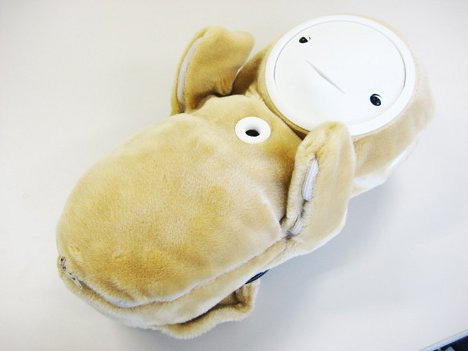 The Babyloid robot, developed by researchers at Chukyo University in Japan, promises to keep older people feeling happy and fulfilled just by virtue of its adorable robot presence. Babyloid cries, laughs and sleeps like a human baby, letting older folks tend to its every need. 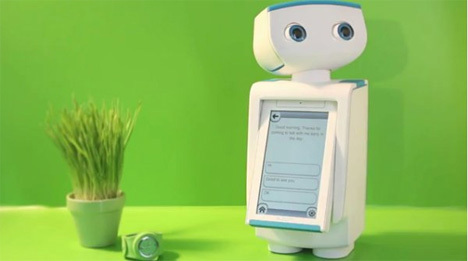 Just 90 minutes a day with the sweet little robot has been shown to increase the moods of nursing home patients. Thanks to Ikea and other purveyors of flat-pack furniture, most of us are used to putting our own furniture together in order to save a few dollars. 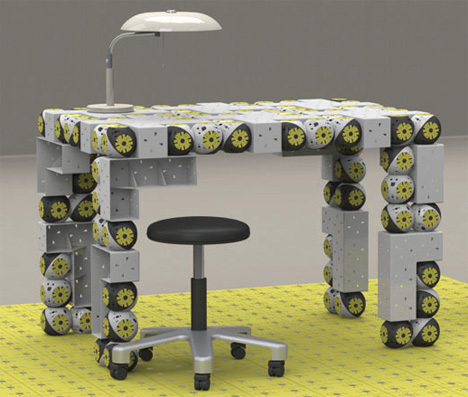 But the Roombots are – more or less – furniture that assembles itself. Developed by Swiss BioRobotics Laboratory, this fantastic set of roving robots rolls into position and assembles into whatever piece of furniture you need at that moment. Each component is a small robot and they all work together to invent and re-invent furniture where and when it is needed. And when you don’t need a table, chair, desk or other object, the Roombots can simply take the form of a wall. As our proficiency in robot programming grows, so does the desire to create something that is almost human. 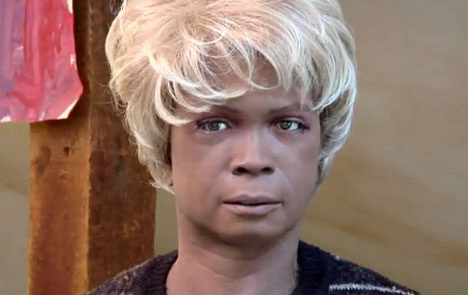 Bina48 is a robot endowed with the personality of a real human…who is also named Bina, of course. The human Bina spent many hours with robot Bina, having “conversations” and uploading her memories and personality to the robot head. The somewhat-creepy project is the work of the Terasem Movement, an organization that seeks to prevent the finality of death by allowing humans to store their consciousness in technology, where it will live on forever. In times of emergency when communications systems fail, a reliable alternative is needed right away. 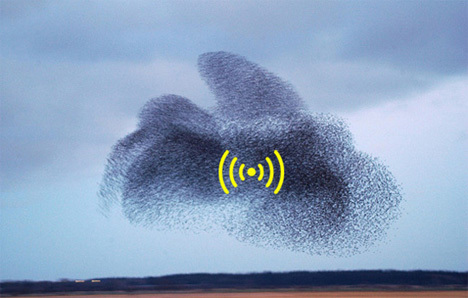 Scientists at the Swiss Federal Institute of Technology in Lausanne believe that swarming flying robots could be just the alternative we need. The flying robots could form fleeting wireless networks by virtue of a small module in the wing of each unit. The modules would emit wireless signals to allow communication between rescue workers on the ground, probably allowing them to save many more lives than they could have without adequate communication. Losing weight is never easy, but it’s even more challenging when you try to do it on your own. That’s why Autom, this adorable big-eyed robot, wants to know all about you. She asks questions about your food intake and activity levels every day, then gives you tips on getting and staying healthy. Autom works on the idea that humans are much more likely to stick to their goals if they have a buddy to keep them accountable and on track. Have you ever wondered what the T-1000 would have looked like if it had ever gone through an infant stage? Probably a lot like this horrifying bot. The skinless robot baby was actually filmed while it was still a work in progress; later it was given skin and used as a human “baby” on a television show. And as the above video shows, its movements were creepily realistic. According to the special effects studio that made this awesome abomination, the clients could not believe it wasn’t a real baby when seeing it for the first time. Raising and training helper dogs for seeing impaired people takes a lot of time and a lot of money, and the dogs don’t have a very long professional life. So how about using technology to lead visually impaired humans around safely? 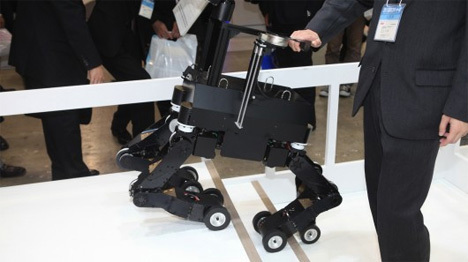 The Japanese engineering firm NSK developed a line of quadruped robots that could eventually be used as a substitute for guide dogs. GPS and proximity sensors all over the robots’ bodies would let them steer their masters safely to wherever they need to go. A commercial version is still quite a way in the future as safety tests are still being carried out, but the “dogs” can already climb and descend stairs with ease. Some South Korean students are learning English from outsourced teachers who happen to be based in the Philippines – but the teachers have a constant classroom presence in the form of egg-shaped robots. The bots feature screens that display nondescript Caucasian faces to the students while cameras and microphones allow the teachers to see and hear everything that’s happening in the classroom. The schools are happy because the robot teachers are cheaper than human teachers, and the students are happy because many of them find a robot less intimidating than a human teacher. Sending one robot into enemy territory to gather intelligence? Way too financially risky. 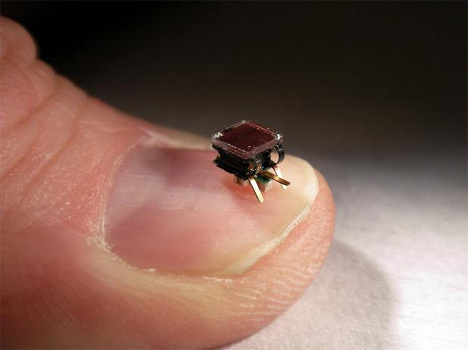 Sending hundreds or even thousands of tiny, cheap, easily replaceable robots? Much smarter. Researchers are developing itty-bitty solar-powered robots that could move in swarm formations to gather data from targets…and it wouldn’t matter much if some were lost or destroyed in the process because they would be so cheap to produce. Robots that let users essentially be in two places at once are immensely useful, and the Telesar V is even more amazing than the rest. 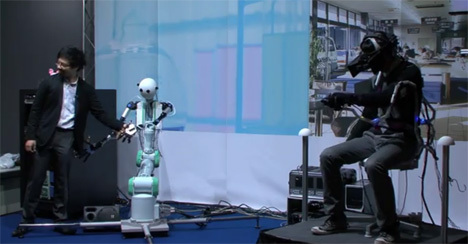 The telexistence robot lets a user see, hear and even feel its environment, even when the user is physically very far away. The head-mounted 3D display and tactile gloves work to transmit the three senses, giving the user an unprecedented amount of data that could be used for a mind-boggling array of practical applications.